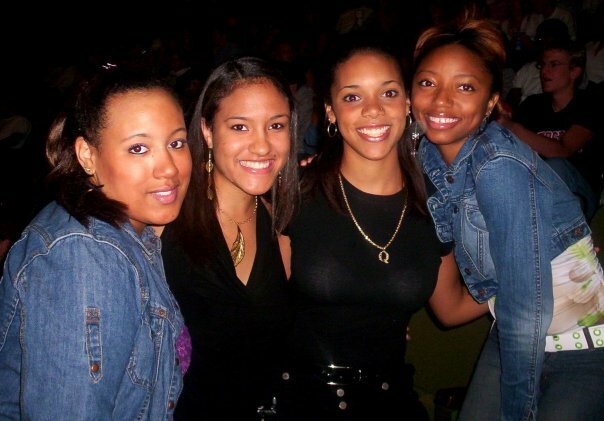 Hahaha, my girls used to clown me for rocking that "Q" chain ALL the time freshman year! My first real relationship began towards the end of my junior year of high school with Quincy, best known as Q. By my senior year we were official. We lastest until the week after I crossed into my sorority my sophomore year of college (I used to rep that man HARD…he gave me a ring…dude was seconds from getting my name tatted on him more than a couple of times hahaha…we really thought we were going to be in that relationship for life, young love smh). Reasons for the breakup? While he was an AMAZING boyfriend (to this day, he’s the best I’ve ever had) on paper he left more than a little to be desired. After sitting out of school for a year, he finally managed to land a football scholarship at a school in NYC and was landing straight F’s and one D. I had to find out the truth from his mother (she and I were boo’s and talked regularly enough…toward the end, she was encouraging me to leave Q and get someone who cared more about their education and future), who let me know Q had gotten a 0.8 cumulative GPA. I was PISSED! I was upset that not only had he done so poorly in school, but that he had lied to me about it (he’d told me he’d had a 2.something). Furthermore, because a lot of my time was being monopolized by my school activities (class, extracurriculars and beginning the initiation rites into my sorority) he banned me from talking about it to him (mainly the sorority)! I was done. So right after crossing, I met a Kappa dude who was doing incredibly well in college and was about to go off to some fancy law school. I was smitten. The new guy helped give me added ammo to end a relationship that was already pretty dead to me. As a result, promptly one week after being initiated in my sorority I broke up with my boyfriend of three years. I say all of that to say that since Spring Break of my sophomore year of college (five years ago) I have not seen Q. I’ve spoken to him a handful of times but I’ve always tried to keep that to a minimum at most. I’ve never believed in exes remaining friends (although why they insist on getting cool later down the line I will never understand) but obliged Q because of the significance he did play in my life. Would you believe that yesterday he came up here to my job to see me!? Yes you all. Yesterday I was sitting there having a crazy deep convo with Dad about how it’s about time for me to spread my wings and leave the nest (that talk went MUCH better than I ever would have anticipated…I was TERRIFIED to have that conversation with him) we were interrupted by one of my co-workers letting me know someone was here to see me. When I went to take a look, there was Q standing there looking like time had not passed. He had a smooth-shaven face, looking just like Jeezy, still stocky-built as a result of all his years playing football and had a smile on his face, not believing it was me. We chatted for a few before he was on his way but man was it a blast from the past. While it was great to see him and know that life’s been treating him alright, I am not going to be setting up meeting #2 anytime soon. Speaking of relationships going south, I know you all heard about Arnold S. and his love child with the maid. Absolute craziness, right? When I first heard that the two had split I was dumbfounded. Like how do you spend 25+ years with someone and then decide to divorce? That is SO heartbreaking to me. Of course people were there to remind me that “Sometimes people just grow apart Ashley,” but that seems so…weak. Does it not? Those vows of marriage are serious business…if you are growing apart can’t you try counseling or something? Pray? Work really hard at it? Of course I’ve never been married or anything so I don’t truly understand but long story short my heart really went out to the two of them and their failed marriage. Until this morning! Now my heart goes out to Maria. And the maid. And the innocent child involved. Well maybe it shouldn’t go out to the maid…she knew of his marriage-situation before she got involved. But for some reason I do. Who knows what Arnold was telling her? Smh (I’m slightly bitter towards men right now so it’s quite possible my views of them are skewed…just work with me). Oh and late this morning/early this afternoon I found myself perusing the shelves of Trade Secret (like a mini-Sephora) and came across some new goodies to beautify my hair and nails. 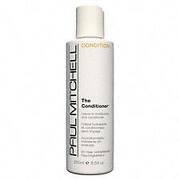 First up is Paul Mitchell’s, The Conditioner. This leave-in is one that many people swear by that I have yet to try. Tomorrow morning when I co-wash, I’m going to rinse all of the conditioner out then apply The Conditioner afterwards and see how my hair responds to it. I’ll let you all know how it goes. And then there was an entire OPI display set up. One of my sorors, Infamously Fabulous, had told me about OPI’s new silver shatter. I looked at it and while I was initially contemplating the purchase, I remembered my last run-in with the Shattered line. No bueno. I passed on it and opted for “Glitzerland,” a shimmery gold. To me, this color reeks of summertime, sunshine and all things golden 🙂 An added plus-when it chips, it won’t be crazy obvious. I’ve been rocking “The Thrill of Brazil” the last few weeks and the second this bold red chips, everyone can see it. It’s not a good look. Well that’s all I have for you today folks. Anything going on in your worlds?